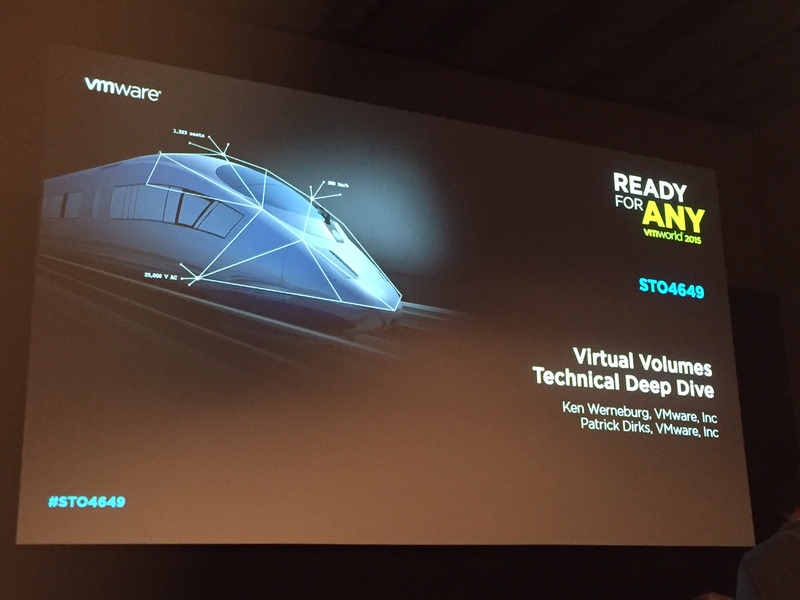 On Day 2, I got to the venue early and published my update for Day 1 of VMworld Europe 2015. Once that was done, it was time for some breakfast and lots of coffee. 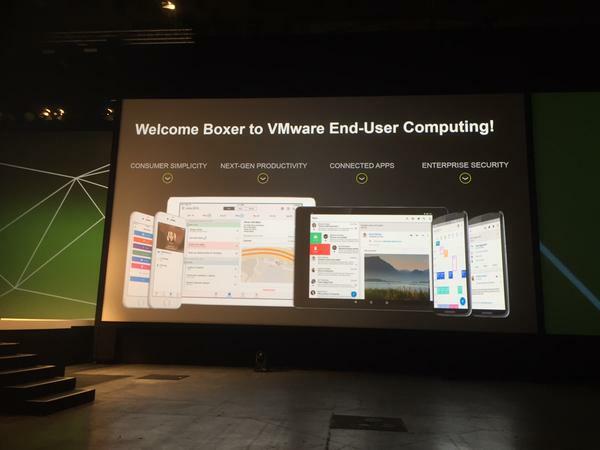 It is customary to start Day 2 with a General Session and this time, it was EUC (End User Computing) and NSX’s turn to grab the limelight. 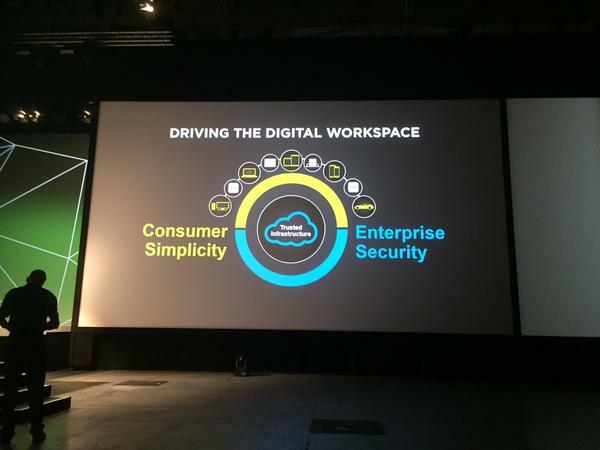 Sanjay Poonen kicked off the session with his characteristically energetic style, talking about VMware’s goal of providing a Digital Workspace with “Consumer Simplicity” and “Enterprise Security” at the same time. 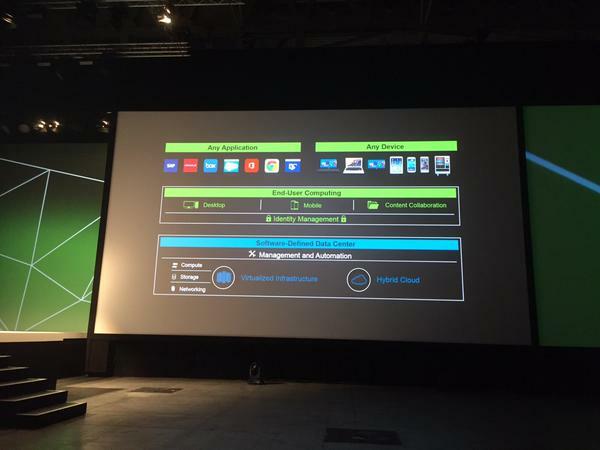 Following VMware’s theme of “Ready for Any”, he showed how EUC utilizes the same foundations provided by the VMware Ecosystem, to meet its productivity goals. and you can read the whole press release here. 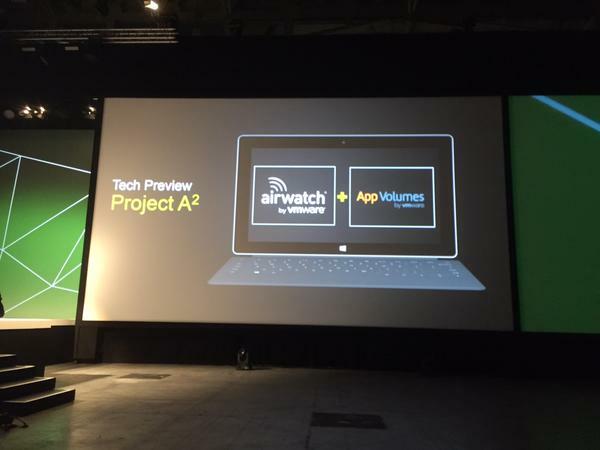 Following that, he moved on to “Project A2” which is all about the seamless integration between Airwatch and App Volumes. 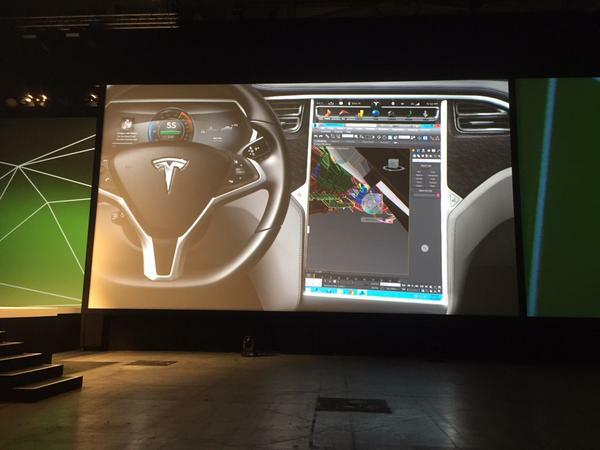 There was also an elaborate demo of Airwatch being used to manage Windows 10, along with multiple device endpoints and even to a Tesla. Yes, I do mean the car! As always, Sanjay was very excited about all these announcements and at the end of his session, invited the whole audience to join him when he sang “EUC will rock you”. The audience had comparatively less caffine in their system but everyone was quite amused by all that. 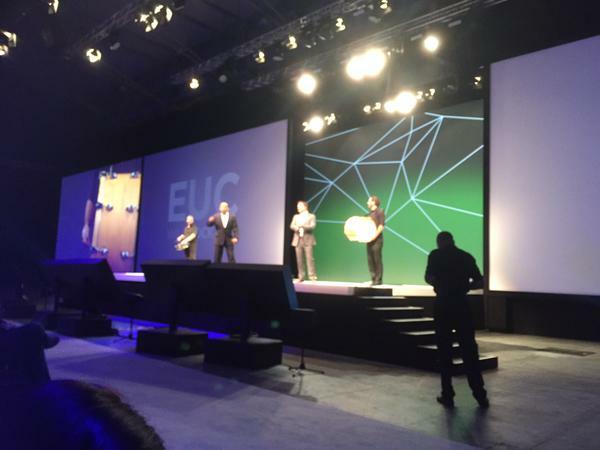 After that Martin Casado entered the stage and started talking about all things NSX. We all know that NSX is fairly central to VMware’s push towards the SDDC (Software-Defined Data Center) and the cloud infrastructure. He reemphasized the importance of the network and that NSX fits neatly into all those solutions. 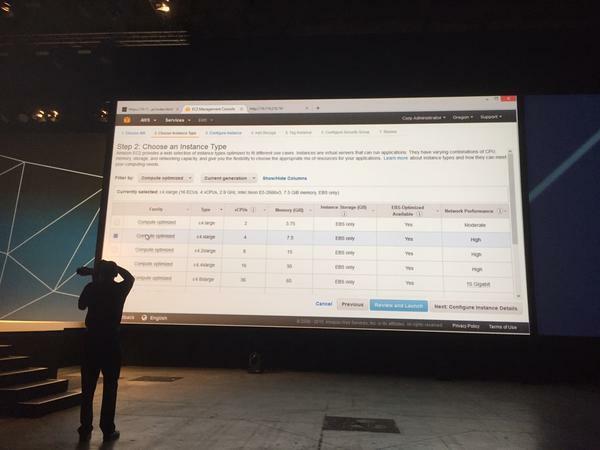 He was later joined by Guido Appenzeller (CTSO at VMware’s NSBU) who demonstrated how NSX can now connect to AWS (Amazon Web Services), showing that NSX can support all kinds of resource from on-premises to the public cloud. VMware’s vision of NSX being everywhere is really being pushed now and it seems that the company is definitely putting all the effort they can in making sure the technology is there to support the requirements of that claim. Pat Gelsinger then came on stage to wrap up the General Session and talked about his “Five Imperatives for Digital Business“, something that he also talked about at VMworld US. That was the end of the General Session and next order of business for me was to start go to the Solutions Exchange. There are so many vendors out there to display their offerings and I can’t possibly cover them here. What’s great to see is that all exhibitors, tirelessly display their products and talk about them with enthusiasm all day long. I guess it’s expected of them but their passion does come through and it seems that they’re having a good time talking to everyone too. 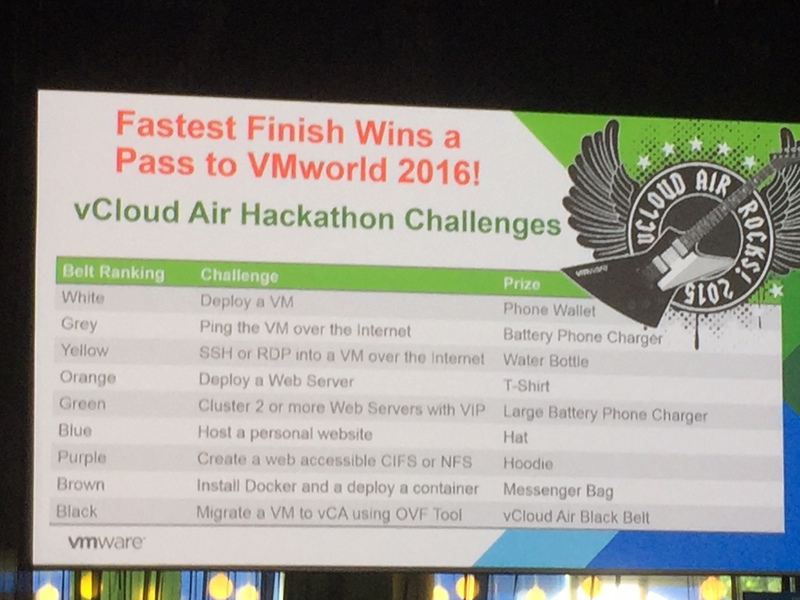 Another thing that I must talk about is the “VMware vCloud Air Hackathon”. 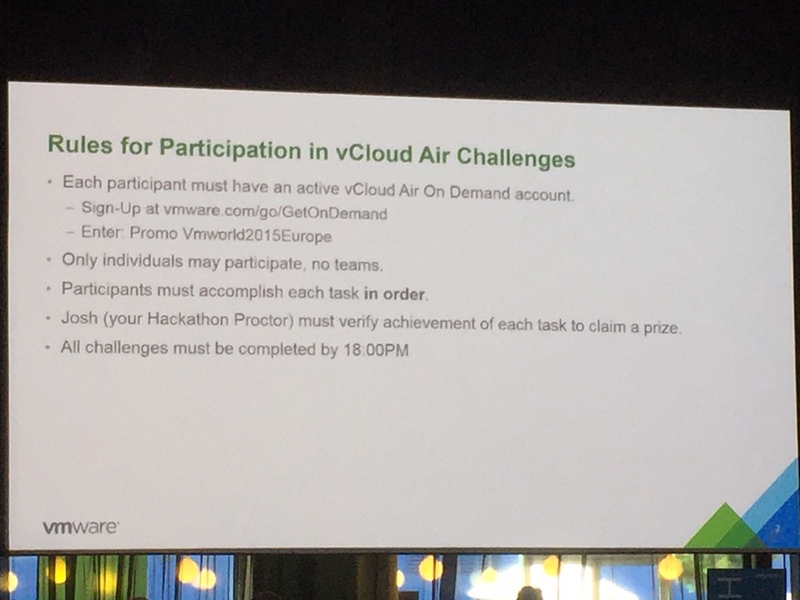 Anyone attending VMworld can join in and complete a series of tasks sequentially and earn prizes for each stage cleared. If you complete them all, you become a “vCloud Air Black Belt”. Cool, right? I had some technical issues starting the challenge (mine not the environment) and then I had to run for a session so it’s a shame but will try it out next time. I have my own subscription anyway and this list above is a good one to do as a challenge. I usually don’t write about the sessions I attend as it’s information that is or becomes readily available during or soon after (unless it’s about something not out yet e.g. what I wrote about vRealize Automation 7 yesterday), however, just wanted to say a few words about one I attended yesterday. Attending sessions take a fair bit of time out of one schedule and I hope presenters/VMware get the content that matches the “Technical Level”. Most of the “Advanced Technical” sessions I book, are not really that technical, but this one was a nice change in that it did contain good level of deep-dive information. I understand that it could go deeper into the detail but there are time-constraints. However, I still have some issues with the slides that cover introductory material. My argument is that if it’s advertised as an Advanced Technical session (e.g. a deep dive), those slides are unnecessary as you shouldn’t be there without that pre-requisite knowledge. They take out a fair chunk of precious time out of the presentation, when people want to cover as much technical content as possible. There are pre-requisites for courses that you attend so why can’t we have it with these sessions too. It might also help with overbooking etc. OK, now that my rant is over…. I spent the rest of the day alternating between sessions and Solution Exchange. Talked to many vendors (too many to cover here) and met some old friends too. It’s also interesting to see some vendors thinking out of the box to attract people. We all are used to seeing prize giveaways (Apple Watch and Go Pro seems to be the rage this year!) but I saw a very entertaining magician at the “InfoBlox” stall. OK, they were just well-known tricks but he was very good and was attracting a fair number of people. Also, there is a VMware Social booth there where you get a selfie stick if you tweet a selfie taken in front of the board, with the hashtag #VMworldSelfie. Here’s mine! Then on Wednesday nights, there is the VMware Party. A tip is to leave your bags full of swag, in the bag drop area as they’re usually open until 10:00 PM on the night. Upon entrance, everyone was greeted with carts handing out hamburgers and there was a good selection of finger and hot food available on the side. Plus, there was 80’s music playing, brilliant! There were all sorts of games available e.g. Pool and Table Tennis tables, Chess, Pinball and Arcade Machines, including the motorbike and racing car ones. Although, it’s quite dark normally but you do find people wandering around. Look who I bumped into! The band playing this time was: Faithless. In case you don’t know them, they’re an Electronica band, very popular in the UK (at least) in the 90s. After the 80s music start, they played for almost two hours and were very popular with the crowd. 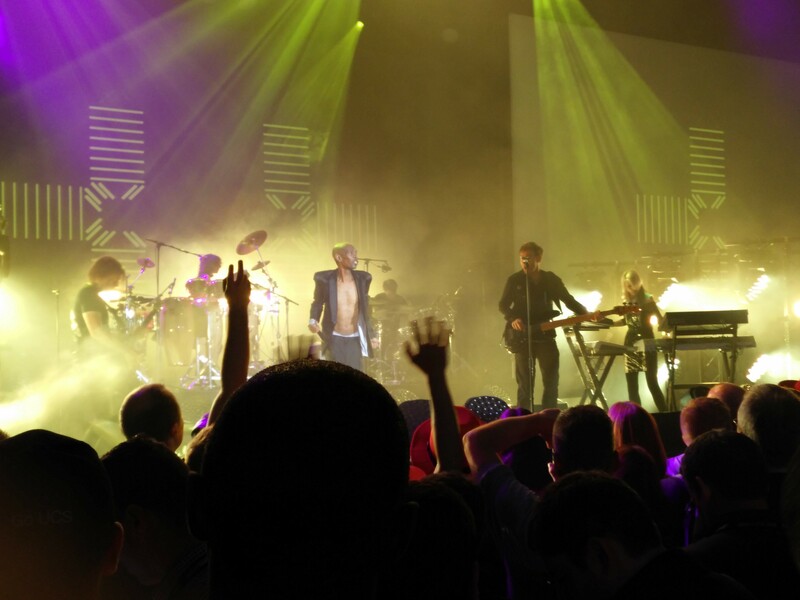 It seems that after Simple Minds last time, VMware made another good choice! Today, is the last day here. No general session today so it will again be Solution Exchange and some sessions for me. Also, I’ll try to make sure I find people I have missed so far. It’s going to be another busy day!